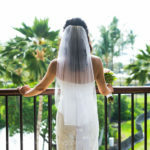 Big Island Wedding Photographer, Bob Brown, photographed this wedding at the Mauna Lani Hotel. 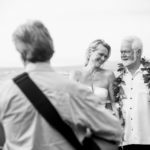 The couple was from Germany celebrating here on the Big Island with a wedding on the lawn over looking the beautiful Hawaiian ocean. They were married at the Eva Parker Woods cottage on the hotel property. We took photos around that area, then went to a private bungalow for a private dinner and more photos. The couple was super fun and even posed in the big soaker tub in the bathroom.